The instability and sluggishness of a computer demand immediate treatment, even though you'll previously need to analyze the computer. X-Ray My PC is capable of analyzing the behavior of a computer detecting the processes or files that cause these discomforts. 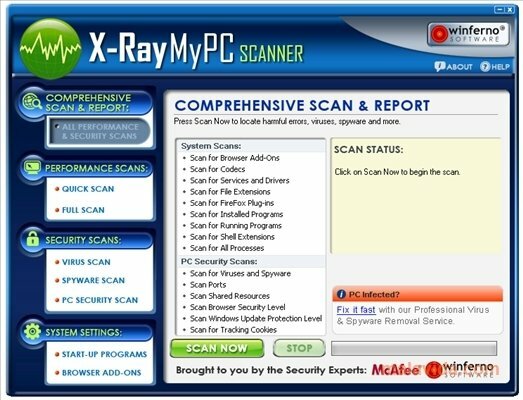 Scan your computer with X-Ray My PC to detect the vulnerable points both in the system as well as in the security. The application will create a final activity report with all the information and detailed descriptions of the errors that the computer has. X-Ray My PC will take care of advising you about the computer's maintenance. Once it has analyzed how the computer works the program will be capable of saying which files or processes are causing the malfunctioning. It is possible to carry out a complete analysis, that includes all the analyses, or to do so in parts. 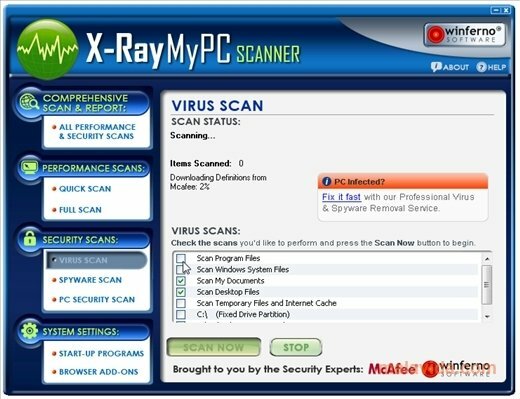 You can complete a quick or detailed performance scan, analyze the computer's security or you can search for spyware and viruses to see if they are responsible. It also has a section from which you'll be able to define the programs that run with the Windows Startup or configure the complements that you add to your browser, possibly responsible for the computer being slower. 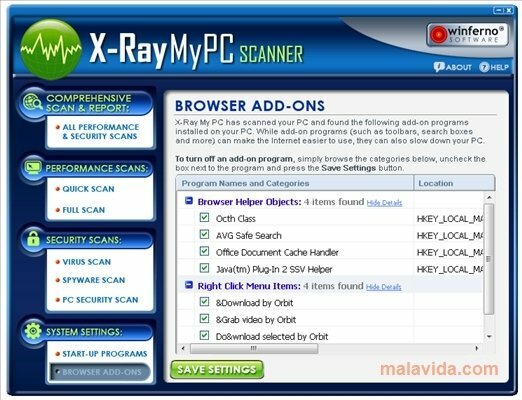 Make the most of the chance to download X-Ray My PC for free, analyze the weak points and take the pertinent measures to avoid that it malfunctions and works slower.